Full-service auto repair. Family-friendly location. Can't imagine what frog d. is talking about. They have serviced at least 5 cars for me over the years. I'm neither a senior citizen nor ignorant about auto mechanics. They are honest, careful and meticulous. Never a problem. Never cheated. Nothing is cheap in Marin, but they didn't gouge and their charges were fair. Last time I was there the secretary was sharp and friendly. Certainly not a crack head. I'm scheduling another repair tomorrow. The TEAM at R&I Automotive is the most honest, accurate, diligent, friendly, affordable, helpful and generous group of automotive experts/service providers I have ever had the pleasure to experience. I have been going to them for my automotive maintenance, repair and advice needs for many years, and I have always been gratified and impressed by their quick response to my needs and their consistent 5 star performance in all areas of services and advice provided. I have had various vehicles repaired and serviced at R & I and have been extremely satisfied with the work, the service, and the courtesy. The charges have been appropriate and the work done on time and to suit my schedule. I can't say enough good things about Ray and his staff. Gerry Falbo of Marinwood. R&I is familiar with my car and my desire to keep this heep on the road. i trust the mechanics to service any problem i may have and they're always friendly when i bring it by for random dip stick checks as this car has a drinking problem. R&I is also literally across the street from my job,and my coworkers are catching on to the excellent service and reasonable expense of repair to any type of vehicle. two thumbs up. R & I Automotive of San Rafael! R & I Automotive has been in the service business since 2000. Our mission is to provide top-notch, quality automotive care, keeping you safe and secure on the road with solid, dependable transportation. We are an established, family-owned business for repair and maintenance serving the needs of nearly all foreign and domestic vehicles. We pride ourselves on our professionalism, and our customer-focused style understands cars and their drivers. 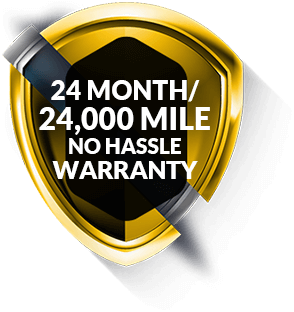 We know that you want a repair shop you can trust to handle all your repair and maintenance needs without hassle, stress, or hidden prices. We appreciate that you want to be treated with respect, have concerns effectively addressed, and trust that your estimates are explained clearly and honestly. And finally, that you want peace of mind knowing your vehicle is in good hands. Our proactive business philosophy keeps our customers' vehicles reliable and reduces the chance of unexpected break downs or expensive auto repairs. 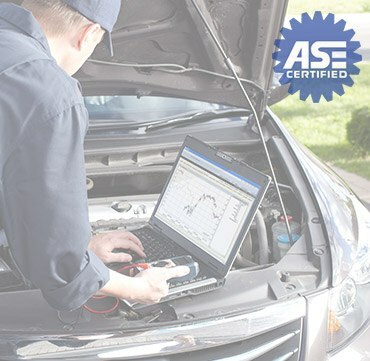 Let our ASE certified technicians examine your car or perform any routine maintenance that your automobile requires. Here you will discover honest answers for all of your questions and concerns with quality services and repairs that keep your car performing at its best. From oil changes, routine maintenance, tune-ups, or major repairs, R & I Automotive is your one-stop-shop for fast diagnosis, exceptional service, and high-quality parts. We take special care, whether it’s foreign, domestic, or hybrid, to ensure that your vehicle is performing at its best.